At Lake Hotel Lackner in Mondsee, our natural wine cellar, deeply buried under the hills, stores thousands of bottles of exquisite Austrian wines. 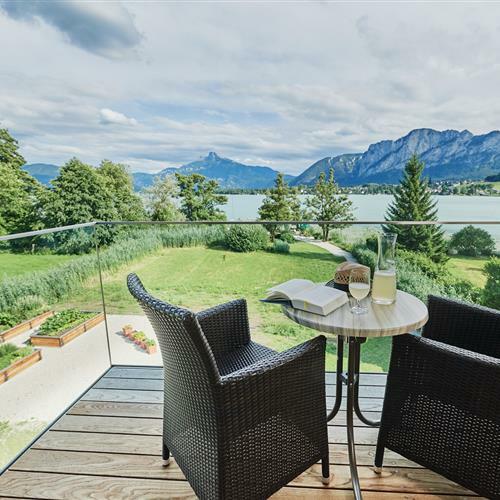 It is a paradise for the wine aficionado and boasts a comprehensive collection of Austria's and the world's top producers. Whether you are looking for a nice wine to enjoy everyday or need something distinguished for that special occasion, we will be happy to advise. Sommelier Martin Lackner has been decorated as 'Wine Chef' of the year 2006 in the 'Wo isst Osterreich' restaurant guide - an award bestowed only to those who show an outstanding engagement in fostering Austria's unique hospitality and wine culture - and he would be delighted to share his vast knowledge with you. 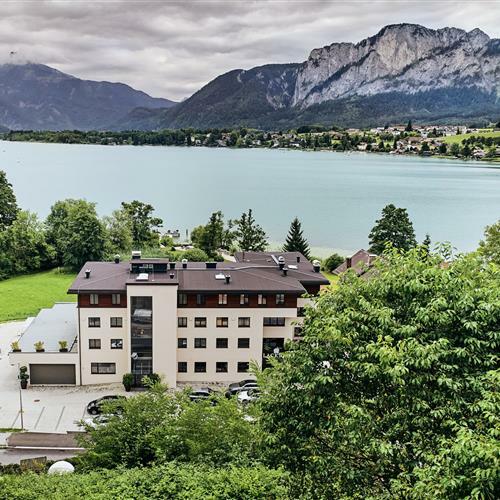 Spend an unforgettable weekend in Mondsee and enjoy its rich food and wine culture - we are happy to prepare a rate for you. If you are a lover of great wines, a visit to Lake Hotel Lackner’s wine cellar is a must, where most of our extensive range are available for purchase. This natural wine cellar, buried deep underground, where all bottles are stored at a constant 12 degrees, is a veritable treasure trove for wine lovers. Many are even available for purchase at cost-price. 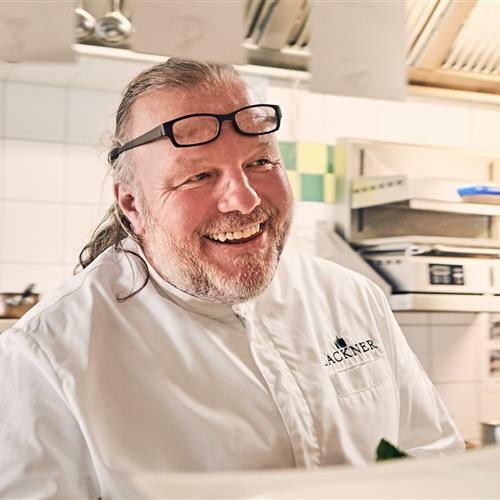 As a special highlight, our wine cellar also offers a wine edition that has been carefully selected by Martin Lackner. 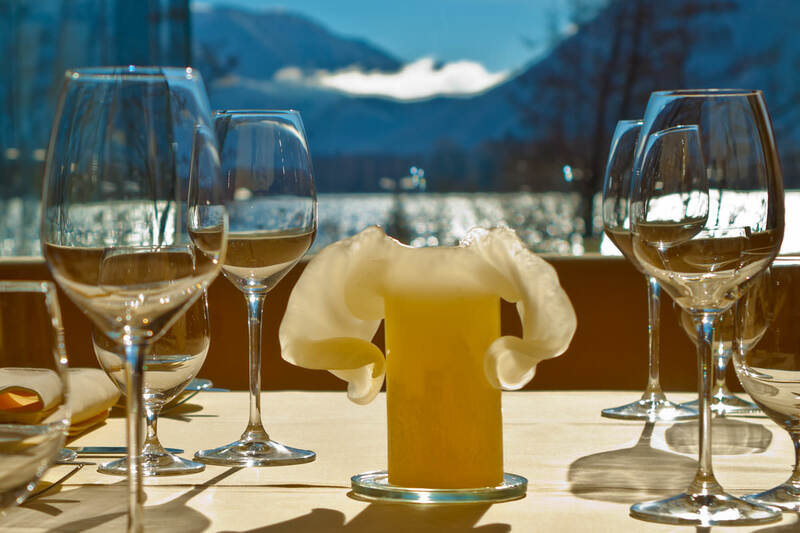 You can sample the wines in our wine cellar, or enjoy a glass for dinner at our restaurant or at our lake terrace during your trip through the Salzkammergut Lake District. You can also sample our range of home-made delicacies, all of which are freshly prepared and free of artificial additives, and will complete your tour of our wine-cellar.